It's very important for those commodity managers to understand the critical PCB process. Let's see how PCB manufacturer China S&L Circuits tells you . Feb.02, 2018, Rigid flex pcb supplier Sun&Lynn Circuits was invited by OPPO, the leading giant of smart phone, for the annual meeting in OPPO’s headquarter, Dongguan, Guangdong province. FPC manufacturer Sun&Lynn Circuits announced her holiday schedule for the incoming traditional Chinese Spring Festival. As most of PCB manufacturer china will be closed for the Chinese Spring Festival. Sun&Lynn Circuits will be on her holiday from February.12 to February.22 and resume service on February.23. All the orders and demand schedule will be scheduled to the end of February. for the manufacturing facilities shut down. Jan.31, PCB manufacturer China Sun&Lynn Circuits visited Bourns to discuss new strategy in 2018. Jan.26, flexible PCB manufacturer Sun&Lynn Circuits was invited to attend Enics annual meeting 2017 in Suzhou. Jan.20.2018, a great day in the beginning of year 2018, S&L wins award for the Best PCB Supplier of the Year. Dec.27.2017, S&L was awarded as the PCB Supplier of the Year by KYD, the leading company of children's educational device. You may always have difficulty in selecting a right PCB manufacturer China among the numerous PCB suppliers since this can be tricky. Manufacturers of printed circuit boards (PCBs) must have the right experience and knowledge of your industry, and if you place an order, you should always consider the following critical things as your check list. To make this easier for you, we have compiled a list of suggestions that may be useful in qualifying a new PCB manufacturer. Our rigid flex PCB suppliers are specially crafted for some best level OEMs. Produced with tried and true dependability, our flexible circuits are worked to withstand the rigors of aviation, therapeutic, and military applications. Sun & Lynn is a well-known PCB manufacturer China company. It has been operating for the last 15 years. Established in 2002, the company now has 2 PCB factories and no less than 2,150 workers. The initial injected investment was $ 160 million and revenue calculated in the past year had reached approximately $ 230 million. 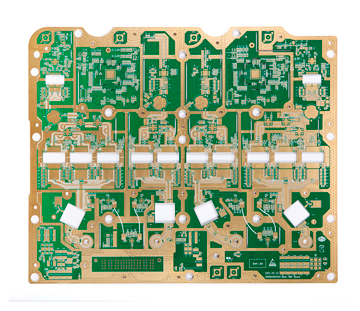 Heavy copper PCB is printed circuit board (PCB) that contains 3 ounces of copper or even more on the inner layers or the outer layers. It is normally produced using copper weights that lie in the range of 4 oz per ft2 up to 10 oz per ft2. 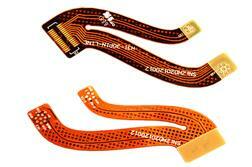 A leading Flexible PCB manufacturer is the unwavering dedication to quality. Our specialized team checks every design and takes time to review with you before production. 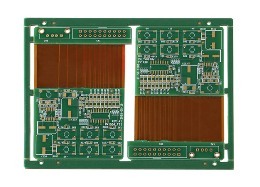 This makes sure the circuit design set for manufacturing, and the boards will deliver the expected performance. Quality stands for the durability of a product. If you want the better performance, you will have to consider the combination of the cutting edge technology and superior quality. 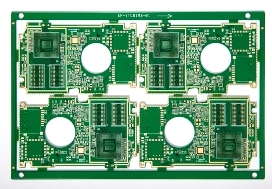 A suggestion to you when you buy flex-rigid PCB for your products is to consider an experienced and reputed Flex rigid PCB supplier to get a quality product at higher level of performance to make you stay competitive in the market. When start a business with best PCB supplier, you may always think about what kind of PCB supplier could fit you well. For sure there are many options in APAP region for your volume demand to rigid flex PCB and Sun&Lynn Circuits could be one of the best options you should try with. If you are currently conducting a business involving PCB as a new starter, then it is a better way to look for a reseller or agent. Why should you do this? New technologies are changing our life and make electronic devices to be compact and mobile to bring more convenience to us. This requires more flexible PCB to be installed in the electronic device and flexible PCB manufacturer is one of the key factors you need to consider to help your products more competitive in the market. Flexible PCB (Printed Circuit Boards) Fabrication is widely used in diversified industry sectors and its application is still increasing. According to Allied Market Research report, the Flexible PCB sector’s value could reach $27 billion by 2022. 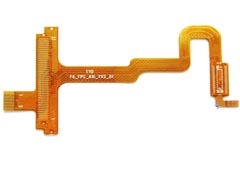 For PCBs to be flexible, manufacturers use conductive materials like Copper which are considered as the nervous system of the PCB and flexible base material to change PCB physical property from rigid to flexible.